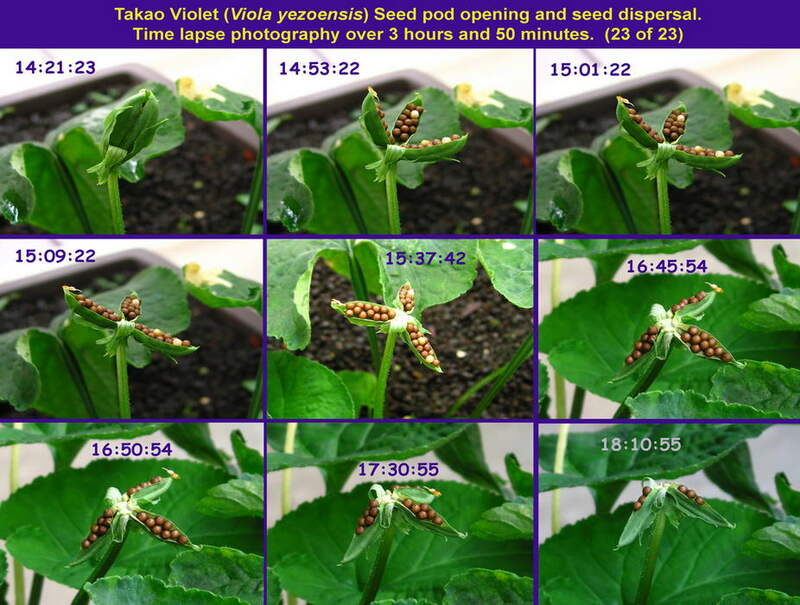 Scroll down a ways on this page to see the 23 frame Takao Violet Seed Dispersal animated gif. The image just below gives you an idea of what you can expect to see. Note that it is image 23 of 23 in the animated gif.